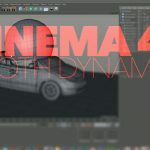 Jayme Wilkinson, Senior Technical Director at Blue Sky Studios, presented an Autodesk Masterclass that had a look into a few ways to use Maya’s profiler tools in to debug your scenes. The Maya Profiler Tools have been around for a while now, allowing you to visualize performance on your scene. 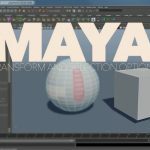 The Maya Profiler Tools will allow you to measure and debug the performance of character rigs, individual nodes, and Maya scenes. It provides an easy way for you to track down performance bottlenecks in your scene by showing the amount of time that each process consumes. You can graph dirty propagation, deformations, rendering, evaluation, Qt events, Instancing with xGen and Bifrost simulations. The Maya Profiler Tools also offer an API allowing you to use it with custom tools and plugins.